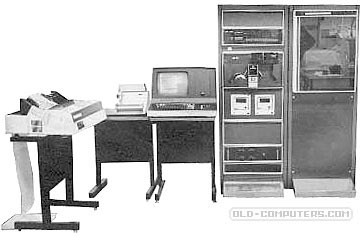 The Felix M18 business computers family was composed of three members, the M18, M18B and M118GS. They were designed and manufactured in Romania between 1975 and 1981, using the Intel 8080 processor. The M18 series had a modular structure composed of master and slave modules, interconnected through a common bus. The MASTER-UCB module contained the 8080 microprocessor, an 8 KB EPROM memory, the 8224 clock circuit, the 8228 local bus command circuit and the 8259 interrupt circuit. An example of slave module was the printer / card puncher-reader port, wich didn't access the system's bus. The first M18 contained the URS-80.00 main unit and 4 cards (CPU, SYU, PF, EBUS) for EPROM and RAM memory, and the necessary interfaces to connect the following peripherals: console, paper tape reader/puncher, serial printer, punched cards reader, magnetic tape drive and magnetic casette drive. The Felix M18B had improved modules. The main UCB unit had the memory resources and the interrupts system on a single card. The 32 KB RAM module also was on a single card. 3 - SFDX18, an enhanced version of the M18-ROS and M18-TOS wich contained a monitor (MON18 V1.3), the command interpretor, an I/O subsystem, a supervisor (editor, libraries, linker), and various languages: ASM80 macroassembler, PLM80, FORTRAN80, COBOL80, BASIC, PASCAL80. The CP/M OS was adapted later, as well as a cross-software pack (M18-CSP) allowing software to be written and simulated on the Felix C-256 family before being transferred to a M18 system through punch cards or magnetic tapes. The M18 series was manufactured in large series and also sold beyond Romania. The Central Informatic research Institute of Romania (ICI) also wrote a succesful real-time OS for the M18, as well as an Ethernet-like local network called CAMELEON. Thanks to Stefan Deli from Romania for information and pictures. see more Ice-Felix M18 series Ebay auctions !